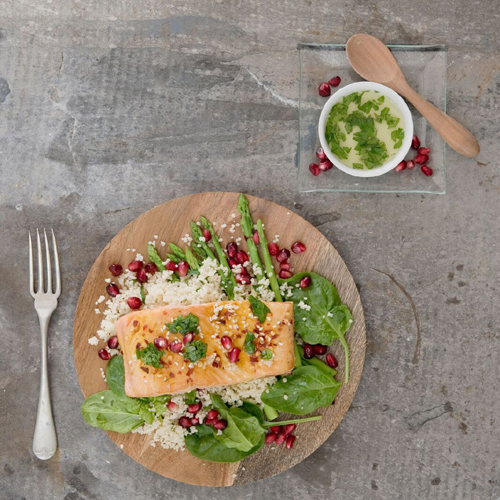 We simply love our grain bowls Fabulously French and gourmet without the effort! They’re not new to 2017 but eating plant-based is still the biggest trend for the future because we now really understand that by reducing meat, dairy and eggs, we could lose weight, have a healthier heart and even live longer! Grain bowls are super delicious and nutritious too! We’ve created some palate pleasers to inspire you… and given you a meat option if you cannot imagine complete abstention! And the best news is that they can typically be prepped in advance so are perfect for work lunches or weeknight dinners. Tipiak’s quinoa gourmand is a delicious mix of bulgar and white and red quinoa. It’s easy to prepare, seamlessly replaces rice and pasta and is delicious served cold in salads and hot, either as a side or as a main dish. This inspired savoury couscous is seasoned with mint and lemon; those simple and flavourful ingredients we all love. Added extra virgin olive oil and herbs make it easy to pull together quick, convenient and unusual dishes and refreshing exotic salads. Tipiak’s tomatoes and herbs couscous is a mix of baby vegetables, roasted tomatoes, olive oil and sun-drenched Provençal herbs that create a flavourful, savoury mélange.